The general rule about healthy eating is to include as many brightly coloured vegetables and fruits as possible. The problem is that eating foods with colour can leave some incredible superfoods behind. 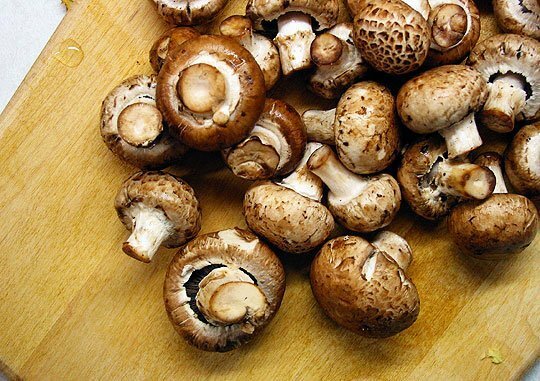 This week we are shining the Superfood spotlight on mushrooms. 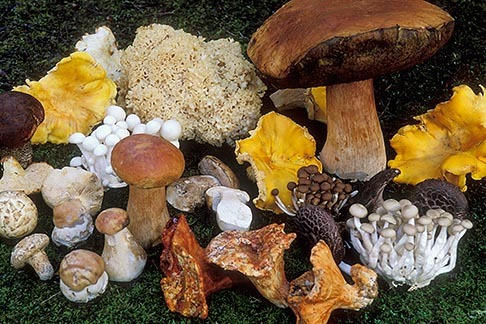 Despite their muted hue, mushrooms are full of essential nutrients and provide energy. Beta-glucan fibres in cell walls of mushrooms an promote the immune response of producing cancer-fighting cells, and prevent tumour formation. High in fibre, potassium, and Vitamin C.
Potassium helps regulate blood pressure, thereby decreasing the risk of high blood pressure and heart disease. They are full of two types of dietary fibre: beta-glucans and chitin. Fibre helps keep you feeling full for longer and reduces appetite, thereby lowering your calorie intake. They are also full of hard to obtain minerals like selenium, potassium, copper, iron, and phosphorus. They contain choline that helps with sleep, learning, and memory. Mushrooms are available everywhere – fresh, dried, whole, or sliced, you can always find great mushrooms to suit your needs and incorporate into everyday meals. Mushrooms are a staple in a Clean Diet. There are so many varieties, textures, and prices of mushrooms accessible to make your meals healthier, and your life easier. Cremini and Button mushrooms are often available pre-cleaned and sliced – ready to be added raw to salads, or cooked as a side dish. For extra flavour, try sautéing your mushrooms in coconut oil. You may find they do not even need salt – just a few cracks of black pepper for a clean, nutty taste. Whole grilled Portobello mushrooms are a delicious and satisfying alternative to meat burgers and steaks. Supplement meat stews, chillis, and sauces with mushrooms for a hearty, yet lighter meal. Sautee sliced mushrooms, garlic, and shallots in olive oil until golden brown and lightly crispy. Toast a slice of Sunflower Seed Rye bread – lightly drizzle with olive oil. Spread sautéed mushroom mixture on toast. Add some Parmesan Cheese shavings, cracked black pepper, a drizzle of Aged Balsamic Vinegar, and another drizzle of olive oil. Perfect for any meal, a snack, or party appetizers (just cut the toast into thirds). Try new recipes that incorporate mushrooms and other superfoods. 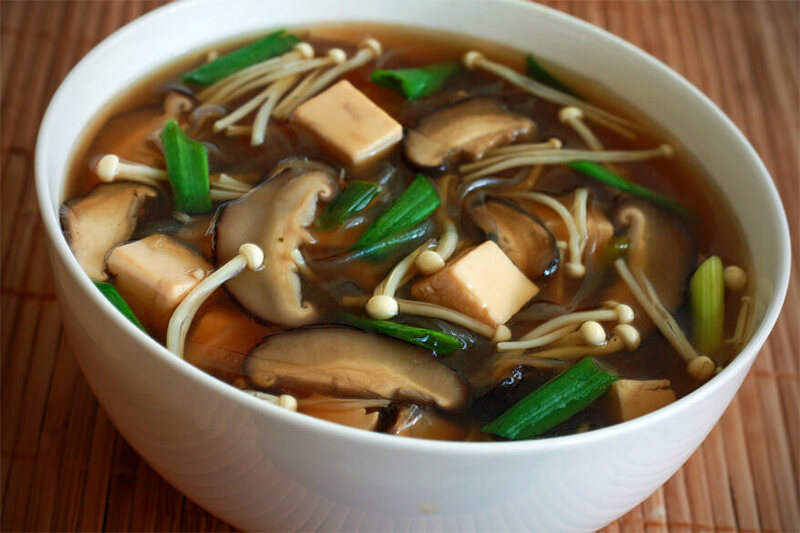 A Japanese Miso Soup is a great vehicle for fresh or dried Shiitake mushrooms, fresh enoki mushrooms, tofu, and our earlier featured superfoods ginger and sea weed. This is great information! I never knew that mushrooms were such a Superfood! I chop them up finely and mix them into turkey burgers along with sautéed garlic, onions, and bell peppers. It keeps them moist and tender, and helps you incorporate a few more vegetables. Great job on the blog! Keep it up!